Experience a natural health care solution that aligns your spine, allowing the body to work at its optimum potential. With chiropractic care at Pierce Chiropractic Center, you can make a positive impact on your overall health. As chiropractors, Dr. Sam and Dr. Randy assess your spinal column to determine whether it’s affecting your level of health. If so, we’ll create a detailed plan to help you regain your well-being. We seek to provide exactly what your body needs and do extensive checking before and after the adjustment to ensure that the proper corrections are made. The techniques we use include the Pierce Results System, created by Dr. Randy’s grandfather Dr. Walter V. Pierce Sr., and Upper Cervical Technique/Orthospinology. Both involve a lighter force, precision-based adjustment given to you based on our comprehensive analysis of your examination findings. Both Dr. Sam and Dr. Randy have extensive training in the Pierce Results System and Orthospinology – An advanced upper cervical technique. Founded and developed by Dr. Walter V. Pierce, the Pierce Results System is a highly specialized technique which focuses on accurately pinpointing the problem area(s) in your spine. This system recognizes that everyone’s bodies are unique and therefore everyone has a different origin to their health problems. With this system we are able to identify the root cause of your problem by using objective tools such as digital infrared thermography, highly specialized x-rays and a gentle computerized adjusting instrument.These tools take the guesswork out of analysis in order to provide you with the most specific, effective treatment possible. 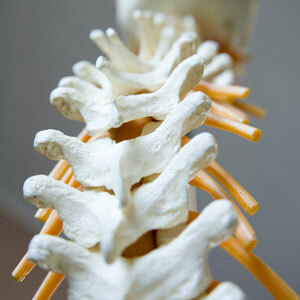 The top bone in your spine, the Atlas, is extremely moveable, meaning it sacrifices stability to help you stay mobile. This area also has neurological implications due to its proximity to the brain stem. It’s a vital part of your spine that relays information from the brain to the rest of the body. Any distortion present, then, can have neurological consequences. A laser-guided instrument is used to demonstrate the exact correction needed as determined by a mathematical equation from your digital X-rays. It’s so precise that it even shows exactly which direction to make the adjustment and the amplitude necessary. To schedule your appointment or to learn more about what we do, contact our Midtown Atlanta office today! We have on-site X-ray facilities and plenty of complimentary parking available.